Wants To Save You Money! 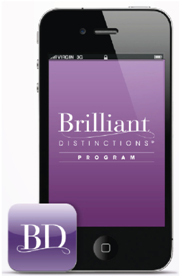 We are happy to offer you Allergan’s Brilliant Distinctions Points Program. Earn redeemable points after you join for FREE today! Allergan's Brilliant Distinctions® Points , an exciting program where you can earn points redeemable for dollars off your treatments when you Radiance Medspa Fairfax.. 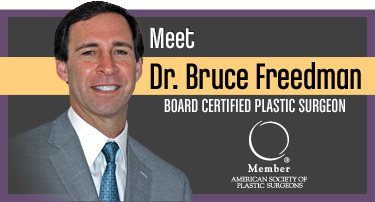 These points can be redeemed for coupons, saving you money on future BOTOX® Cosmetic and JUVÉDERM® treatments, as well as select ALLERGAN® products and other valuable rewards. *Please note, BOTOX® Cosmetic treatments must be at least three months apart for points to be deposited into your account. *Please make a note of your email and password, as you will need them every time to access your membership with the Brilliant Distinctions Program. If you have any questions, please refer to the “About Program Tab” Or call the Brilliant Distinctions direct number 888-324-2745. 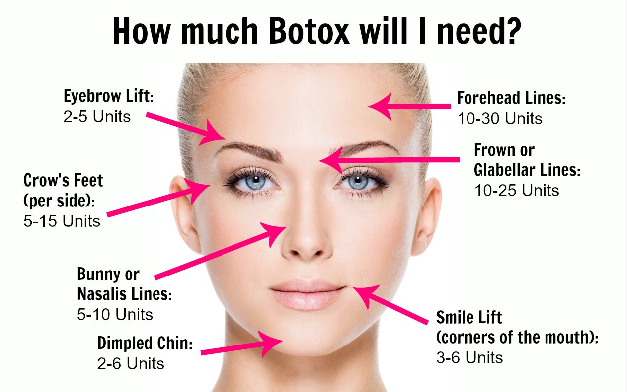 BOTOX® Cosmetic Treatment - 200 points. 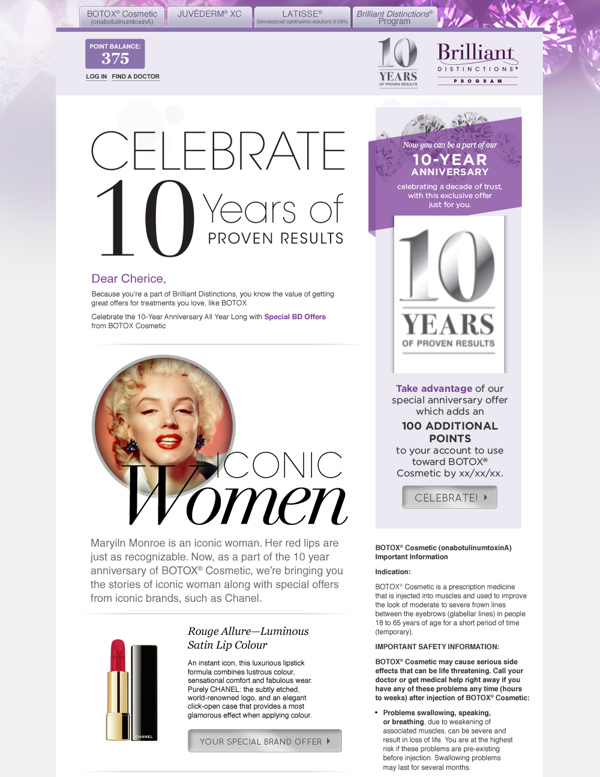 Earn and deposit your points every time you receive a BOTOX® Cosmetic treatment. 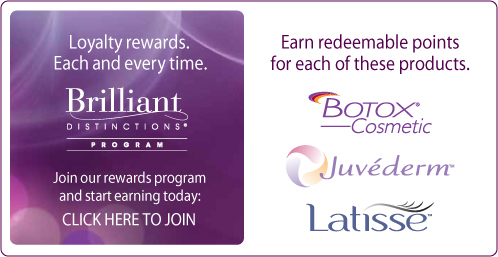 Earn points each time you receive any one of Juvederm's Injectable cosmetic filler. Look for the drop-down menu showing your available coupon amounts based on the points you have accumulated. Alternate coupon amounts will be shown in gray to illustrate what you can get when you save up more points. Click “Create Coupon” and a printable coupon will be available for you to bring to us at your next visit. Coupons can be created for a maximum discount amount of $75. Note: Once a coupon is created, it will expire in 60 days.